Last fall a friend mentioned wanting a few colchicums. Normally I forget these things in the flurry of summer, but during a moment of sitting around laziness I asked if they still wanted to give them a try. ‘Yes’ was the response, so with my word on the line I put down the drink and picked up the garden fork. Colchicum corms. These Colchicum byzantinum are some of the biggest I’ve seen, but word is they do that. I’ve posted on colchicums before and you’re more than welcome to look back on last September or do a search, but if you’re really serious give Cold Climate Gardening a visit. Kathy Purdy is practically the Queen of Colchicums and her blog is an excellent resource for getting to know more about them. In the meantime though, I suggest you think about snowdrops for a minute. 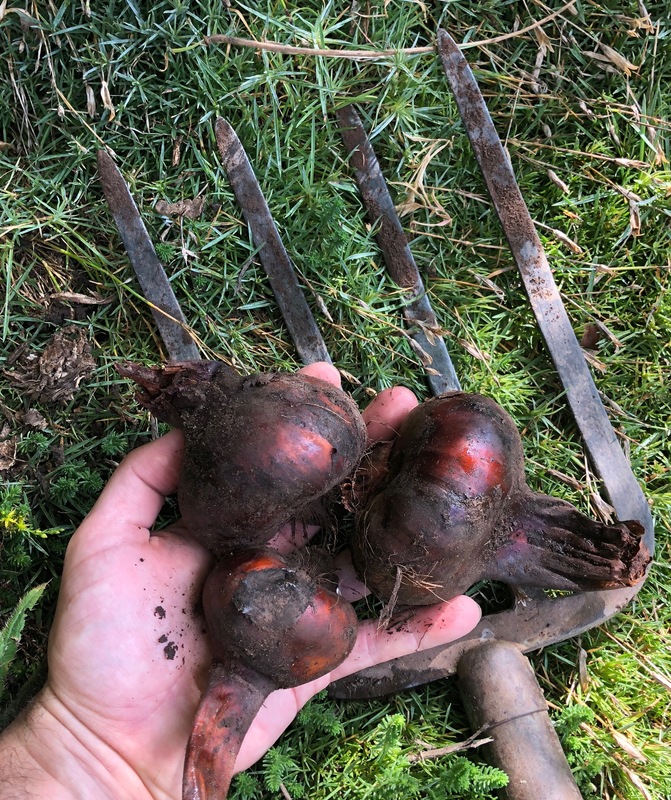 Last Wednesday Edgewood Gardens of Exton Pa sent out their bulb list, and since I of course already secured my order by Wednesday night, I thought now might be the time to generously offer others the chance as well. To do so email Dr. John Lonsdale at info@edgewoodgardens.net for the list. Even if you don’t buy, it’s still fun to see drops which have recently gone well over $1,500 a piece on Ebay offered for their first US sale… for a much lower price thank goodness. I saw ‘Bill Bishop’ offered. Here it is at center showing off its big fat flowers. Just for the record, even though snowdrop purchases are exempt from budget reporting I did not try to order any of the $300 snowdrops. I had a moment of fantasy while thinking about it, and they likely sold out during that moment, but until the kids stop requiring billions of dollars for back to school items I don’t think I’ll take that leap. This entry was posted in colchicums, snowdrops, Uncategorized, winter flowers and tagged colchicums, fall flowers, flowers, pennsylvania garden, snowdrops. I have only one small patch of colchicums. Every year I think I will purchase more and here I sit without an order placed. I should put my drink down and get to ordering. It has been so dry here that I would hate to plant them and then have them dry up. I’m not asking for your weather at all, but a little less rain would be appreciated! I’m always amazed that even out of dust-dry soil the colchicum still send up flowers and start putting out roots. It’s always such a leap of faith that good growing weather is on the way. They do like being divided btw. When yours come in to flower you might want to consider digging and separating, I was surprised to see how much some of mine had split! 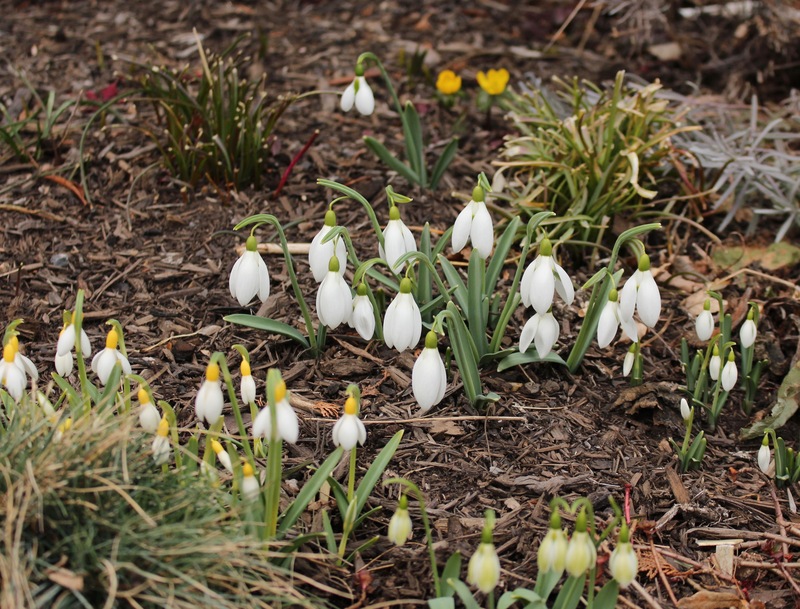 Can you tell me on what basis snowdrops are exempt from budget reporting and whether I can use the same assumptions for hellebores, ornamental grasses, roses, witch hazels, persicaria, sanguisorba… you get my drift! Woah, those are some big corms! I have yet to buy any colchicums because they are more expensive (and I have other bulbs that I spend way too much for). Maybe some day, as they are so gorgeous. You also have some gorgeous snowdrops! Someone may have once said the best time to do a garden task is when you have time to do it. It’s rare to be able to find colchicum bulbs as early as they should be put in, unless you have a gardening friend with a surplus. Coincidentally, I put in a new colchicum bed today — looking forward to their growth. I have a problem that I start things and get distracted and start something else and then spend twenty minutes looking for tools I’ve put down along the way, and then I start something else! And then before that’s done I watch a butterfly. It’s good for the psyche, but not so good for getting things done. If you want to order them from a bulb seller and have them bloom in your garden, yes, don’t delay! Order today! However, I have seen them sold online at clearance prices after they bloom. Yes, you won’t get the flowers until next year, and you won’t have the same great selection, but if it’s important to get a bargain, take a chance and wait to order until after Labor Day. I have planted colchicums that were blooming when I got them, and they did fine. I have deliberately left colchicums on a decorative shallow bowl to bloom in the house, and planted them afterwards, and they did fine. But I agree with Tim, many of the major bulb companies don’t ship colchicums out as soon as they should, and they are blooming in the box when you get them. They should know better and do better! Odyssey Bulbs always does ship soon enough, in my experience. I’ve been known to jump on those clearance sales! But I’ve also been known to kill nearly all of them with improper planting. In my heavy soil they need to go in shallowly or else the foliage can’t get to the surface. If I’m planting late I don’t ever bury the flowers, even if they’re already over. The sprouting foliage uses the old floral tubes as a tunnel to reach the surface. I think this fall I should dig a couple extras to have flowering indoors in a shallow bowl. It’s always such a nice display. 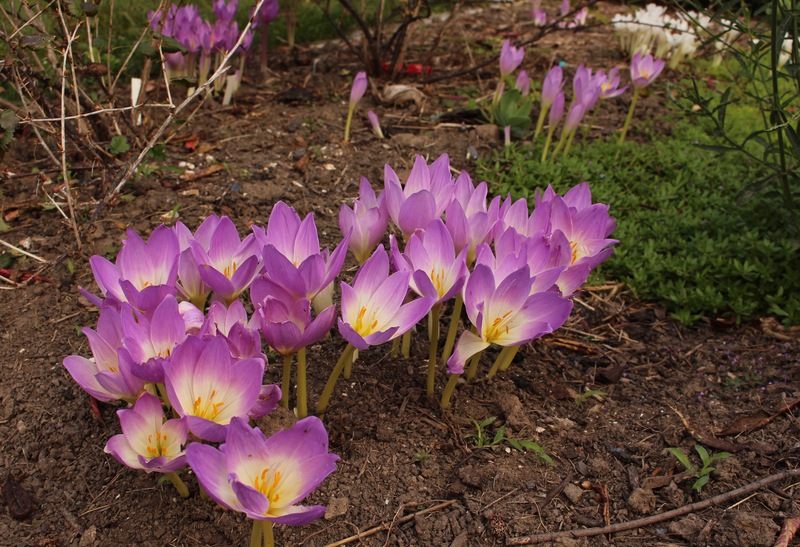 I love colchicums and was fortunate to inherit a lot of them with the garden. They’d naturalized over the years and I was able to relocate them where I wanted them. Of course, that doesn’t stop me from occasionally ordering a few different varieties:) Happy planting! Yes, snowdrops are a necessity for sure! We all do that Frank!!! That C. bornmuelleri is really striking! I didn’t realize you could still plant Colchicums – I thought they had to be planted in spring. Colchicums are pretty accommodating, I’ve moved them from when the foliage yellows all the way through to when the flowers are already up and blooming. This is a good reminder to start looking for spring bulbs! All the dozens of crocus bulbs were destroyed when the front garden hardscaping went it. I’ve never tried colchicums. Time for something new! I’m sure you’ll get in there with plenty of exciting stuff soon enough. Having the hardscape all done will be nice!